Prayers answered in the affirmative. Never cease from praying. The Temple of Baal is NOT coming to Times Square in New York City next month. This is great news, and it represents an incredible victory for Christians in the United States. As you will see below, the New York Times, Snopes and a whole host of other mainstream news sources reported last month that everything was on track for reproductions of the giant 48-foot-tall arch that stood in front of the Temple of Baal in Palmyra, Syria to be put up simultaneously in Times Square in New York City and Trafalgar Square in London during the month of April. But now that will not be happening. The only arch that will be going up will be in Trafalgar Square, and it won’t be the one from the Temple of Baal. 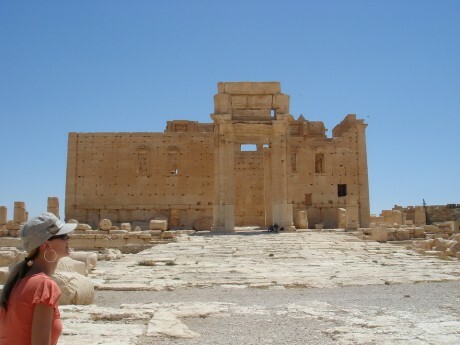 Instead, the Institute for Digital Archaeology has changed plans and will be putting up a reproduction of the Arch of Triumph which the Romans originally built in Palmyra and that has nothing to do with Baal. So why has there been such a dramatic change in plans? Unless we change our ways, it is inevitable that the judgement of God is going to hit America extremely hard. This is one of the topics that I cover in my new book entitled “The Rapture Verdict“. God keep calling us to repent, but we keep shaking our fists at Him as a nation.